The AGM Signal Conditioners go "beyond the basic" criteria. Our engineering design was made to augment the basics, and reduce the degree and frequency of system problems due to uncertain conditions. 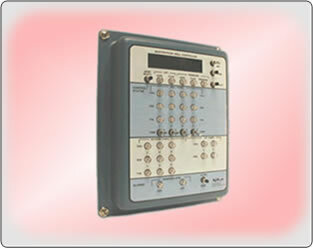 They provide a comprehensive signal conversion and processing tool for the instrumentation engineer's use. Yet, in the field, it is a simple device for use by the process control operator. Wide dead band to rectify equipment operation causing system "bumps". Time delay to rectify pneumatic or hydraulic reverberation. Response time to rectify ambient noise and erratic sensor signals. Circuitry is potted in high vacuum, degassed, chemically inert RTV rubber that precludes chemical and bacterial degeneration causing circuit failure. Optical isolation of module I/O/Power to virtually eliminate ground loop problems. 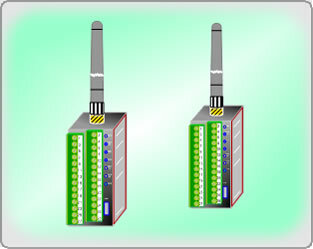 Automatic switching in all devices to accommodate lost of live-zero inputs signals. The AGM Lab calibrates extremely narrow analog spans with high offsets at no charge. Calibration standards are traceable to the National Institute of Standards and Technology. · Analog Characterization Module, Square Root Extractor, Etc. Note: This table is based on the more commonly used Assembly / Enclosure Configurations. Configurations not shown include multiple array, NEMA rated enclosures and custom packaging. Please contact us if you do not see what you are looking for. 2 3/4" W, 8 1/2" H, 3 3/4" D Dust cover, bulkhead mounting for general use for signal conditioning, alarms, computers, controllers and transmitters. Uses product with TA prefix. Uses TA plug-in modules only. 1 1/8" W, 3" H, 2" D Similar to the AUX mounting, except it can be combined with other DIN rail mounted devices to create unique systems. 1 7/8" W, 3" H, 2" D Potted modular unit, bulkhead mounting for general use for signal conditioners, isolators and transmitters where space is at a premium. 3" W, 2 1/2" H, 1 1/2" D Sealed unit for use with weatherproof and explosion proof housings for two-wire transmitters. Mounts to standard tapped holes in NEMA rated fittings. 19" W, 101/2" H, 3 3/4" D For standard 19" rack monting. 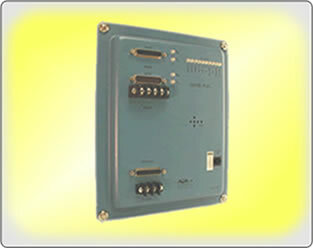 Any plug-in module with EA prefix for signal conditioning, alarm, computation, control, and transmitter purposes can be plugged into any socket position. 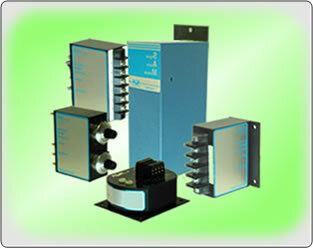 NEM NEMA rated boxes from manufacturers such as Hoffman, Killark, Crouse Hindes, etc. Used with either (P)TA, AUX, HPM, or (F)EA assembies. Enclosures furnished by factory with equipment mounted. See ” Product Applications ” for examples of how Signal Conditioning and other products are applied. If you have an application that you are uncertain as to which Signal Conditioning product to apply, contact AGM's Technical Support Team and they will work with you to insure that the correct product is selected for your design requirements. Also, if you have an idea for a new product, we would like to hear from you. AGM is continually developing products for new applications as they arise. The following is meant as a guide only. The Signal Conditioner may be ordered by simply specifying input, output, function, power and assembly / enclosure requirements. You may specify these in any order and add any comments you feel are important. Note: Please contact our Domain Engineering staff if you are unsure of which Signal Conditioner to specify for your application. We will also work with you to develop OEM products. Step 1: Select the AGM Product Number that corresponds to your typical input / output or function requirements using the Product by Input / Output Table or the Product by Function Table. Step 2: Identify your specific Input / Output calibration requirements. Note: Auxiliary current transformer for AC Current (0/5 ampere) inputs signals are furnished at no cost. Step 3: Identify your available power. Step 4: Select Assembly type. Refer to the Enclosure / Assembly Data Sheet for options. Note: DIN mounting clips are furnished at no cost. AUX, HPM, & DIN assemblies complete as shipped. Step 5: Place an order by using the Submittal Form, phone, fax or email. 1. Pulse Duration Transmitter, 4/20 mADC in, 3/12,15 sec out, 120 VAC powered, mounted in NEMA IV enclosure. 2. DIN4000-13, 1/5 VDC in, 4/20 madc out, 12 VDC powered. 3. HPM5100-15, 0/1000 PPS, mag pickup, 2 wire, loop powered. 4. AUX4006-0, 4/20 mADC in, 4/20 mADC out, exponent = 2.5, 24 VDC powered. 5. DC to DC Isolator, 4/20 mADC in and out, PTA assy, 120 VAC, 1600 ohm drive option.